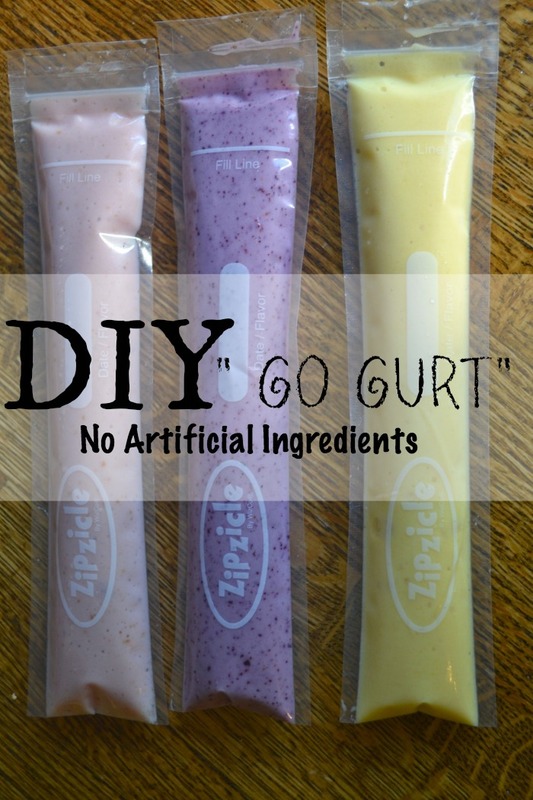 I made my DIY “Go Gurt” using my Ninja Blender System. Any blender will work, but I find that the Ninja is exceptional at blending fruit, especially frozen fruit. Still, I sometimes stop by the yogurt section at the store and glance at the nutrition labels on the kids yogurt products. Besides a few of the products in the organic department, I can’t justify buying the ” kids” yogurt products with sugar, and artificial dyes or ingredients. But Sometimes, when my older son and I are having a lunch date at Panara, I will let him get the yogurt in the pouches. and he LOVES THEM! Thinks they are the greatest ever! I purchased some of these “Yogurt Packets”. Here is what the ” Blueberry” looked like. Seriously, Gross! How do these companies get away with marketing this to kids? Today, I purchased just a tub of plain yogurt, and made ” Homemade Go GURT” with just fruit and a small amount of coconut sugar. It was Easy, a fun activity and is SO MUCH HEALTHIER! I have the Ninja Blender and Food Processor. and I truly love it! 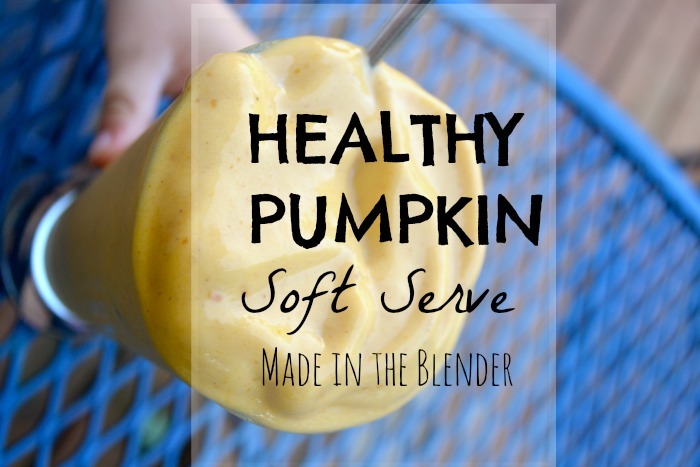 My favorite feature is this little single serve blender cup for when you want to just blend a little bit at a time. 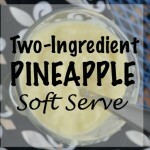 I think I use this little single serve blender more than the large blender. Look at this beautiful blueberry color? THIS is something I can feel good about feeding my kids! 2) These little plastic bags are Zipzicle Ice Pop Molds, Clear, 12-Pack ” Zipzicles” You can buy them on Zipzicle Ice Pop Molds, Clear, 12-Pack Amazon, like I did . You don’t need to have these. You can also use these rFoodWorks – Silicone Ice Pop Maker Molds / Popsicle Molds – Set of 6 eusable containers OR just put them in baby food jars. 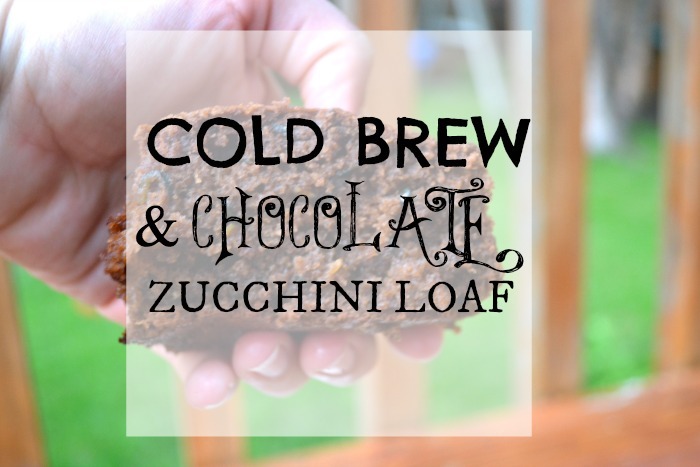 4) I am not going to write a recipe here, because this is more of an idea to capitalize on. 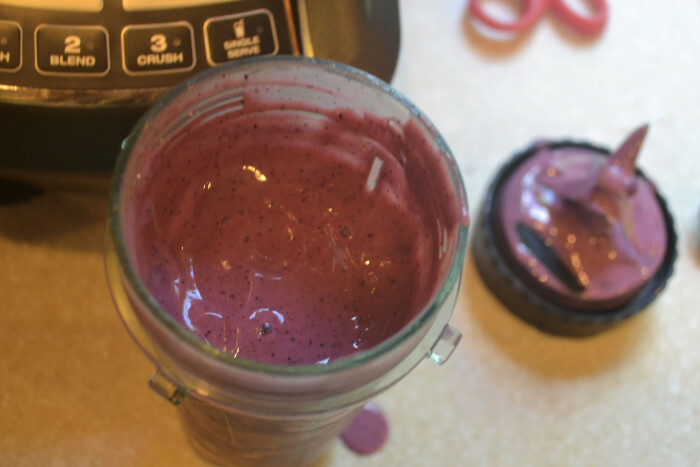 You can blend any kind of fruit with this yogurt. I made blueberry, raspberry banana, and mango. This won over E with flying colors! Looks awesome! I’ve never heard of the ziploc popsicle bags, but they look like they could be great for a whole variety of things! This is a really great idea and seems like it could be more healthy… a plus in my book for my son. He loves yogurt. He may enjoy this better. Oh my gosh! Ziplock is awesome! I had no idea they made things like this!! I could do this for the kids in a heartbeat! Those are so neat! I have never seen those packages before to put yogurt. Will have to make yogurt with the kids soon. This is great! Now you can have your favorite yogurt on the go! Novel idea! I’m so excited about your version. 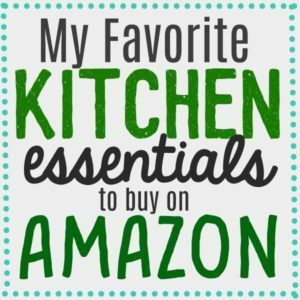 This is a great alternative to store bought. My son loves the Go Gurts, but like you, I don’t feel comfortable about the ingredients. So, I’ll definitely have to try this sometime. This takes after school snacks to a whole new level. And if the kids help, it amps up the fun factor too. Wow! How genius is this?! I love it and my kids love GoGurt too! My son just started wanting Gogurt n his lunches. They are a bit expensive lol Making your own is a really great idea! Good idea! I’m always concerned about what chemicals are in those yogurts aimed at kids. I’d love a link for the homemade banana yogurt. I can’t seem to find it. My son has major texture issues, so I can’t make anything that has seeds in it. Thanks! Sorry, there is no link. But let me just give you a basic recipe now! 2 parts plain yogurt, 1 part banana. You can add berries if you like. maybe blueberries? Just got my yogurt culture in the mail. It’s for Viili yogurt. He’s extremely picky and use to the store junk. I’m not sure just adding banana’s will work for him. I don’t think it will have a sweet enough taste. What about an organic banana extract? When I add the banana’s for the second ferment , should I add them in mashed a mix it, or drop them in and then mixed the following day? Jenni, if you’re still reading (your comment was a few months ago; I’m just now seeing this post), I think you might be complicating the project unnecessarily by thinking about adding the bananas during the process of making the yogurt. It’s probably best just to make plain yogurt and THEN mix it with bananas shortly before serving. You can add sugar, honey, or another sweetener to your son’s taste. But adding banana extract to increase the banana flavor might also be a good idea because the flavor of bananas is not very intense. This is a great idea! 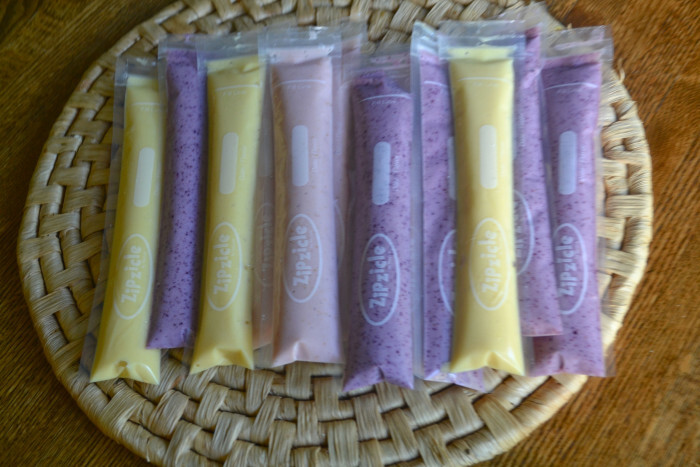 My fourth-grader enjoys taking yogurt and also applesauce in his school lunch using Squooshi reusable squeeze-pouches. They are extremely cute, and I was surprised at how easy they are to clean. 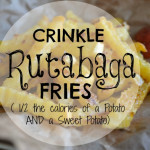 They save money and trash, compared to plastic bags, while still making a fun squeezable side dish. Love this idea! Thought you’d like to know your link to the ice pop bags is broken. The bags are not made by Ziplock. They are called Zipzicle. 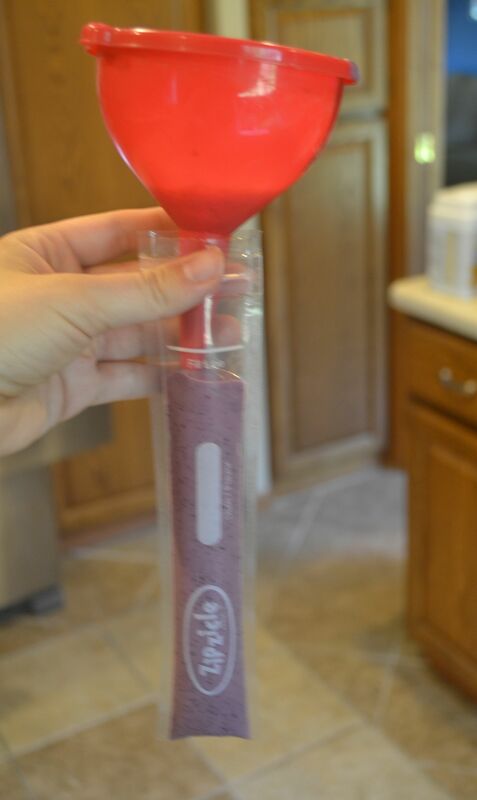 I got mine with a Groupon a couple of years ago to make healthy Popsicles. They are reusable. I never thought to use them for yogurt. What a great idea. 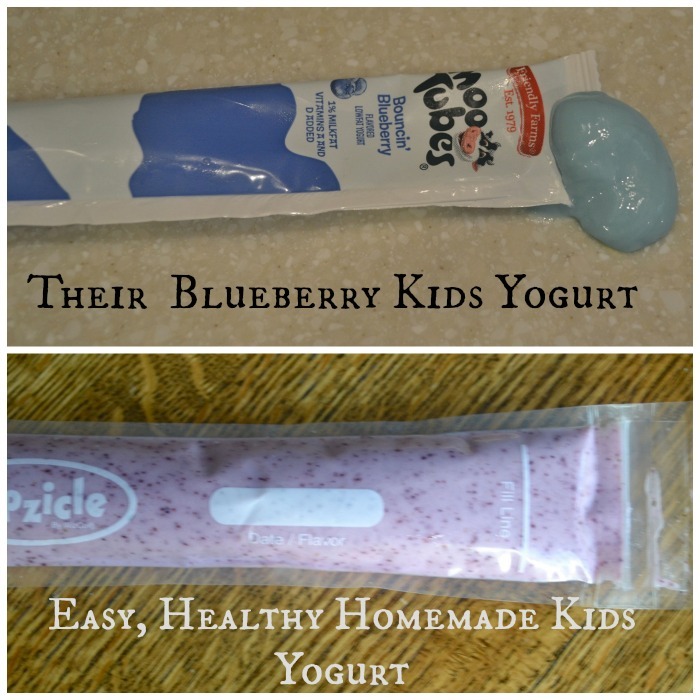 Do you freeze the yogurt packets? Or do you keep them in the fridge? If in the fridge how long are they good for before they spoil? I have frozen them and kept them in the fridge. I would pay attention to the expiration date on the yogurt you use. 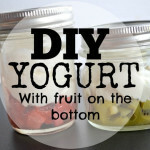 Do you have recipes for the fruit yogurts? I didn’t see any. These are great! How long do they last in the fridge? 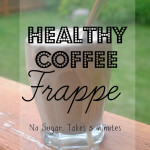 I’m thinking if it’s the same as a smoothie that you need to drink soon after making it or it doesn’t taste well. 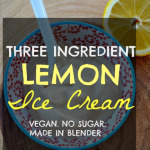 Is this the case with this recipe? Thanks! I use my Turkey Baster to fill zipcicles – less mess, so easy. 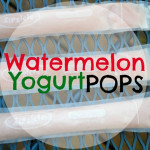 I love these for yogurt, ice pops, pudding pops, applesauce and more. Those bags would have come in soooo handy in my back-packing/wilderness camping days! These look delicious! Can these be frozen and eaten like a POPSICLE?